Discover the latest security app offerings and how to optimize them for end customers and recurring revenue, as well as enhancing operations. For end users, accessing security and building control systems through smartphones or tablets via apps has moved from wish list to expectation. 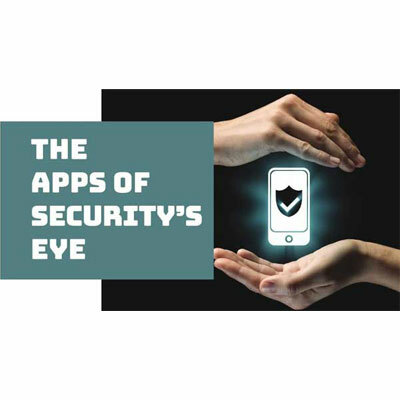 There are now myriad customized mobile applications (apps) on the market that allow consumers and security professionals to perform a variety of tasks and system interactions. SSI tapped on the expertise of several leading industry suppliers to get a pulse on the latest in app offerings, what makes them noteworthy, and how dealers/integrators can deploy them for customers, their own recurring revenue interests and improving operational efficiencies. All agree that as more remote access options have become available for homeowners and commercial end users via smartphones and tablets, the industry has seen a marked increase in demand for them. Anu Herranen, director of marketing and branding for Nortek Security & Control, concurs that access via smartphone or tablet apps has become table stakes for success today. These apps make it possible to control systems remotely, see notifications and even live video in many cases. All of these are vital today for homeowners, she says, and business owners can now look in on their operations with Cloud-based, mobile-friendly apps to remotely monitor or manage multiple activities. Not surprisingly, remote video viewing and control of light, temps, locks, video doorbells, video cameras and, of course, a security system, are driving the deepest demand right now. But not all apps are created equal and one size doesn’t necessarily fit all. As Strickland points out, in terms of capabilities it’s hard for her to choose only a few because what hits the market may be right for one client but not right for another, so it’s important to give them options. “Residential customers want an integrated custom solution to fit their lifestyle and needs, while commercial is more focused on video and some access,” she notes. Herranen adds, “I really can’t pick a favorite [app] out of our partners, but each offers unique features that are popular with our customers,” she says. She views it as a good thing, as it’s helped move the security industry in a direction that makes products more routinely interactive and essential, as opposed to something users just engage on a rainy day to prevent a burglary. She points out that while that presents a tremendous growth potential to increase market penetration of security systems in general, anytime there’s increased consumer demand, there are more competitors coming into the arena as well. In this case, Jones-Shand says, they include cable companies and telcos, which represent some serious competition. Herranen concurs that systems that offer both security and home automation versus security only lead to longer relationships and happier customers. It may not be increasing their RMR, as much as it is delaying or eliminating attrition by customers, she believes, because they value the control and the notifications that these apps supply. Training is an investment that, if done right, will pay back many times over, Nicol advises. Additionally, efficient app implementation can make dealers’ lives easier (see sidebar and slideshow). Jones-Shand points out that any time you use a particular manufacturer’s equipment, you eliminate a learning curve and can easily standardize across your whole fleet of installers or team of techs. Training is important when you’re installing any technology, she emphasizes, but adds that the app should be intuitive to the consumer. “For some apps, you need to read a book to use it. An intuitive app is key to a successful offering and consumer experience. An app should be of value to a consumer and foster a positive relationship between the security dealer and the consumer, and obviously not one that’s frustrating,” she says. Herranen echoes the importance of intuitively designed apps. Alarm.com is one of them and its software platform, which is tightly integrated with top hardware providers, connects a broad array of smart devices, making them easily controlled through an intuitive mobile app. Matthew Zartman, director of communications, Alarm.com, adds that security dealers should be able to look to their interactive services provider to offer robust training options so they can quickly get up to speed and continually keep up with the latest offerings. Strickland echoes that “Training is very important, and as manufacturers we need to be sure we’re offering the right kind.” Installers who have migrated from security to home automation are more integrated, she believes, and some in security who aren’t as comfortable need that gap filled to understand remote access and the basic setup. Strickland adds that dealers/integrators can leverage market demand by bundling remote services with monitoring services. She points out that they’re already doing that with customers anyway, and can now also offer those Cloud-based solutions. Although they lack the advertising budgets that Verizon and some of the large cable companies have, Jones-Shand encourages the traditional, regional dealers to reach out in their own areas, more economically, to educate users on the capabilities available. They should emphasize that this is what they do and leverage the advantage that, as their local dealers, they already know them. Nicole notes that smart home technology used to be relegated to the ultra- wealthy, the multimillion-dollar residences of the 1%. With hardware costs coming down and install time dropping dramatically due to the solutions now available, dealers and integrators can serve a much broader market. We’re living in a new age where technology and convenience are converging and everyone seems to be romancing the opportunities. With remote app technologies equipped with a high level of security, it’s likely we will all one day be living app-ilyever after. Inovonics: “The demand we are seeing is from integrators who specify our wireless endpoints as components of larger security solutions. They expect smartphone-based tools to help them more accurately quote a job and make sure their installers have a good blueprint to work from to ensure a seamless installation. Having to requote a job or make on-the-fly adjustments during an installation costs our customers time and money. Our Survey Kit and App helps resolve these issues.” — Scott Fincher Sr. Product Manager.